If you are not familiar with the work of the legendary master of animation Hiyao Miyazaki, look up his filmography and start from the beginning. Actually, it would be a safe bet to just watch every film released by Studio Ghibli, which Miyazaki co-founded in 1985. While not every movie released by the studio has been flawless, in general the production company has put out some wonderful, imaginative work, and in my opinion their two greatest achievements are two of the finest in the history of animated cinema: My Neighbor Totoro and Spirited Away. 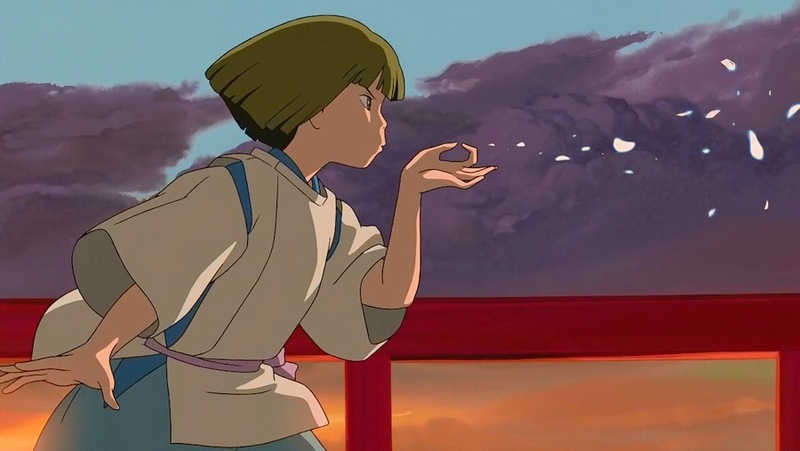 Spirited Away is, quite simply, an incredible piece of art, one of the finest, most detailed examples of why hand drawn animation will always burst to life in a way that computer animation is unable to. I could pause every frame of this film and admire the remarkable craftsmanship that went into it's production, as even the smallest detail in the farthest corner of the screen was treated with importance and care. 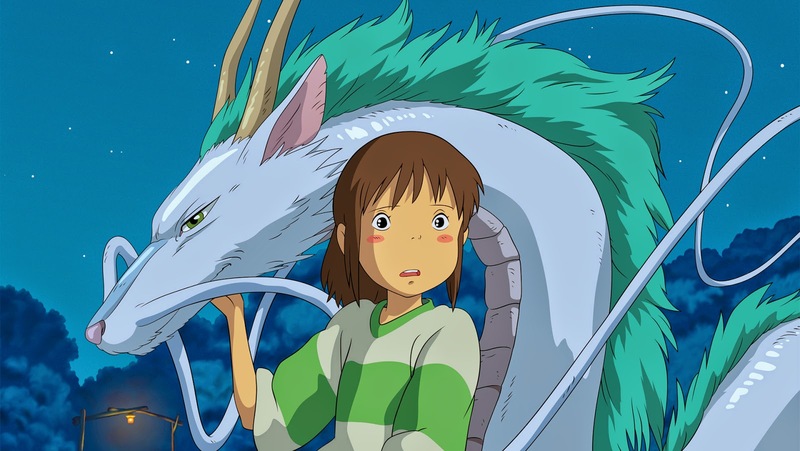 My seven year old daughter sat in awe of every single minute of Spirited Away and I was right beside her feeling that same sense of wonder all over again. 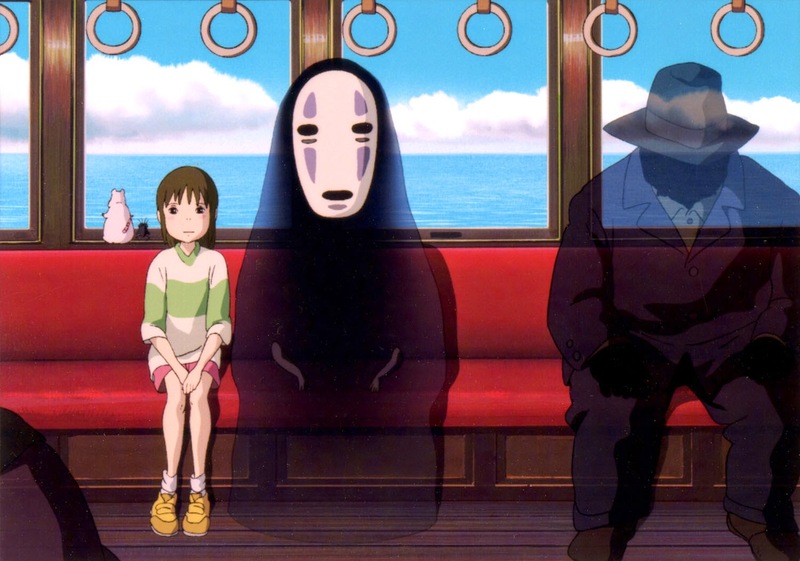 Spirited Away tells the story of a 10 year old girl named Chihiro and her parents as they are on their way to their new home, but one wrong turn has them exploring an abandoned amusement park instead. The magical, mystifying world Chihiro finds herself in soon after cannot be explained by my words, and really it shouldn't. You just need to see it for yourself, but every moment is full of imagination and creativity and thematic richness that hides behind a simple tale of a young girl trying to find a way back to her parents and the world she knows. There is a scene at one point that takes place on a train, and I don't mean to build it up as some major action packed event because it isn't. Very little technically occurs during this sequence, and yet it may be my favorite few minutes of any animated film ever. The music, the beautiful animation, the fact that the surreal scenery reminds me of a dream I once had and wish I could have again...it all adds up to pure perfection. It is a small segment of the film, just a few minutes, and it is sublime in its simplicity. I will continue to waffle on whether My Neighbor Totoro or Spirited Away is the true Miyazaki masterpiece, but honestly it may be a tie, and that's not so bad right? Why pick one when you can watch both? If you haven't yet, do it. Watch them both. You won't regret it.